The Renaissance of a New Orleans Icon. In the 1920s, The Jung Hotel was the hotspot on Canal Street where the elite enjoyed plush furnishings, marbled architecture, and grand opiance in the 18-story structure that blended Renaissance and Baroque style. 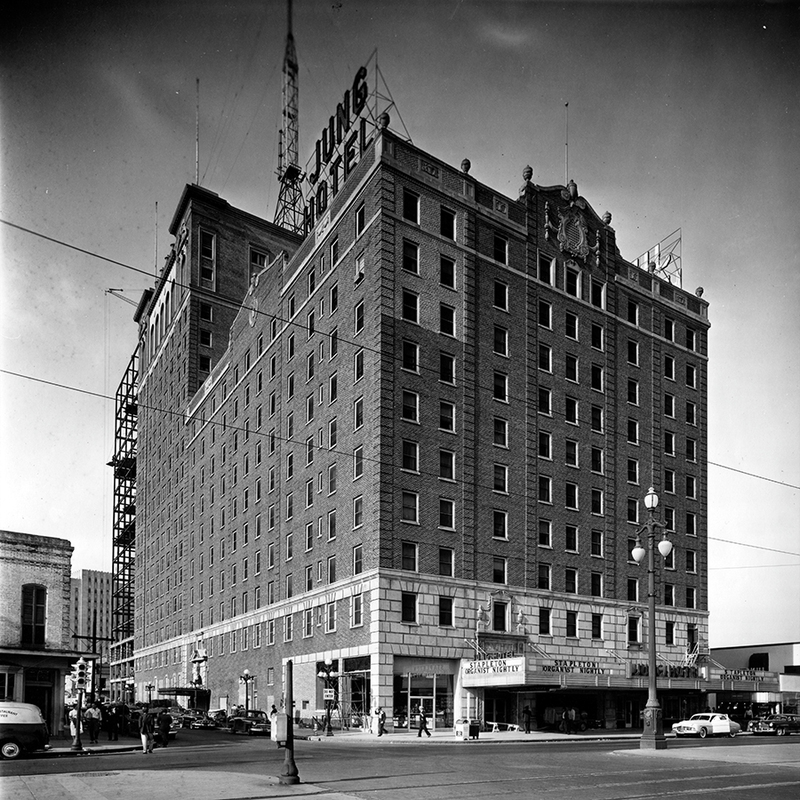 During the 1930s, The Jung offered an elegant ballroom for patrons to dance the jitterbug, and through the 1940s, the elegant hotel continued to host society weddings and special floor shows along with opening its cocktail lounge, the Cotillion Lounge. The 50s and 60s brought much business to The Jung Hotel as a downtown hub featuring ornate guestrooms and suites, lounges and shops, and a skyline view of the city from its Garden Rooftop. During the 1970s, the hotel's grandeur was lost in between changing ownership, but in 1982 The Jung was added to the National Register of Historical Places. The new millennium brought it into the hands of The New Orleans Hotel Collection wherein it was restored, renovated, and rejuvenated into its former glory. Now open, The Jung Hotel & Residences is truly a treasure of the past glimmering in the spotlight of the future. Midnight Boheme is proud to be a part of the reopening of this iconic hotel. 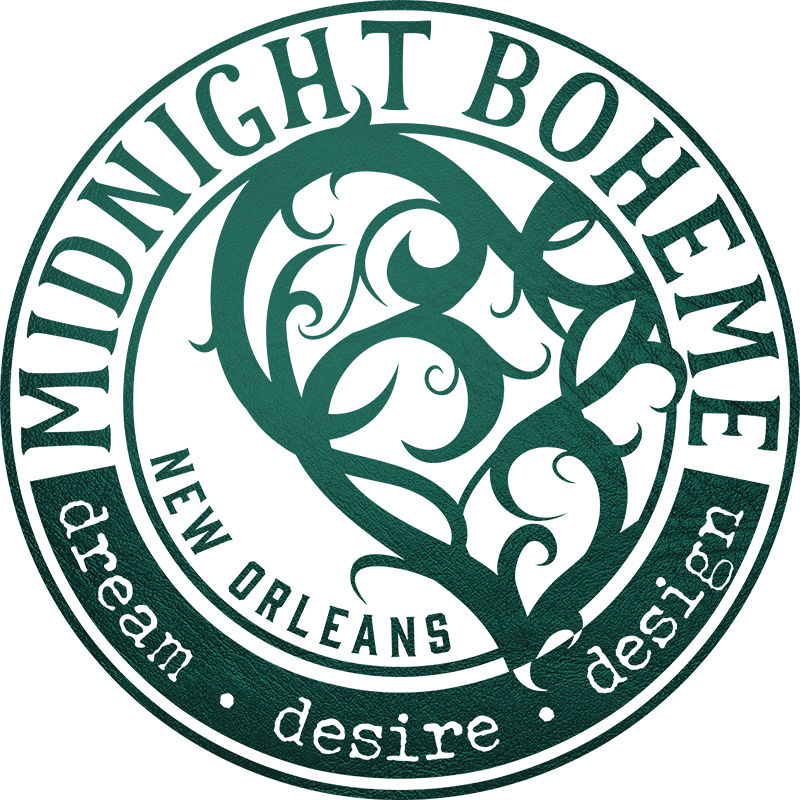 The New Orleans Hotel Collection has been a long time client of Midnight Boheme. In fact, it was where Midnight Boheme first designed commercially in the development of the logo for Hotel Mazarin. The hotels in the NOHC's portfolio have expanded over the years and currently include the Bourbon Orleans, Dauphine Orleans, Hotel Mazarin, Hotel Le Marais, Hotel Royal, Hotel Ste Helene, Melrose Mansion, Audubon Cottages, Maison Dupuy, The Whitney... the list goes on. The latest addition to the NOHC's portfolio is The Jung Hotel & Residences, and Midnight Boheme has been a part of the logo development along with working with the advertising team and hotel management in creating a stunning launch for the iconic property. Past and present collide in a series of postcards for The Jung as Midnight Boheme used both current and historic images for the mailing cards. Featuring fresh photography of the grand new hotel, Midnight Boheme and the New Orleans Hotel Collection worked tirelessly on developing the brand's promotional advertisements as the hotel grabbed the city's attention. One of the visual treats inside the enormous Jung Hotel is the eclectic art collection acquired by the owners. The hotel is practically an art gallery with its massive walls used as a showcase for numerous talented artists. 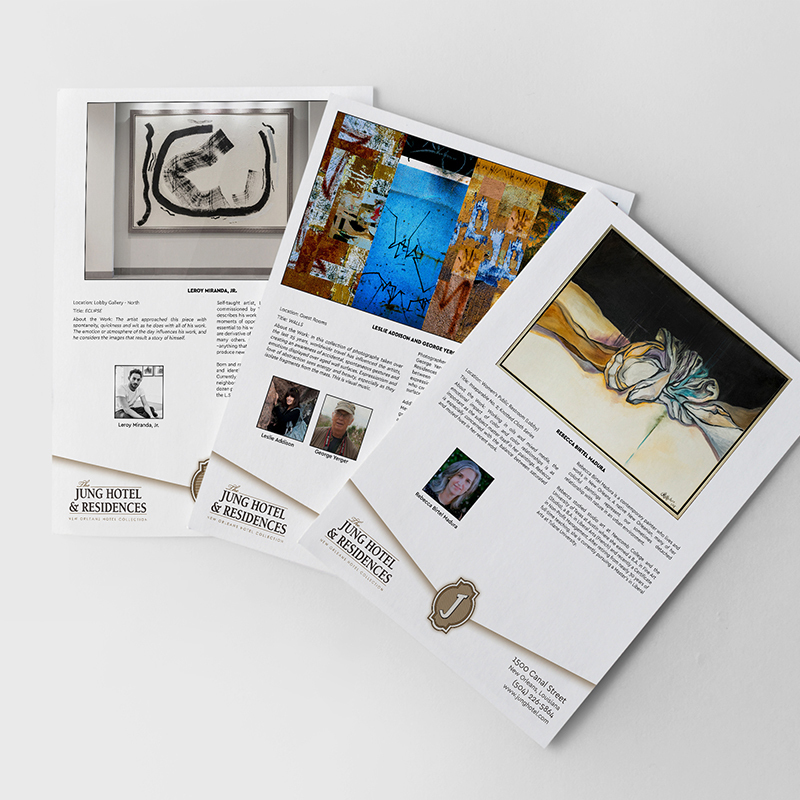 Midnight Boheme helped design a series of informational biographies and study sheets for each of the artists featured in the hotel. On Friday evenings, the public is welcome to visit the hotel during the Champagne & Art Stroll which begins at 5pm. 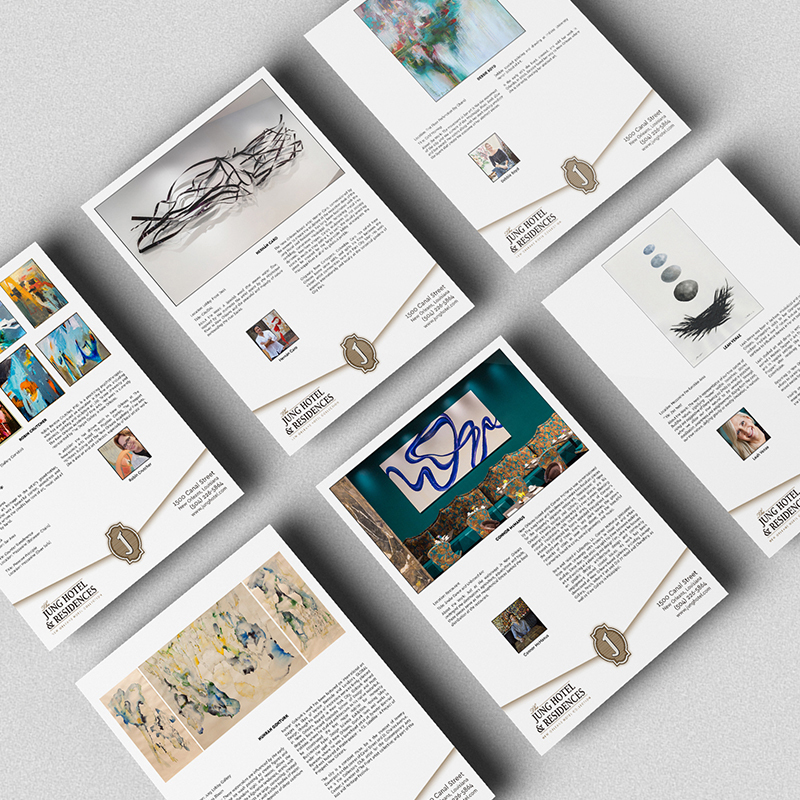 Grab an info sheet and a glass of bubbly and walk the corridors to see all the amazing artwork! Retractable banners are large scale visual advertisements usually displayed at conventions and trade shows. 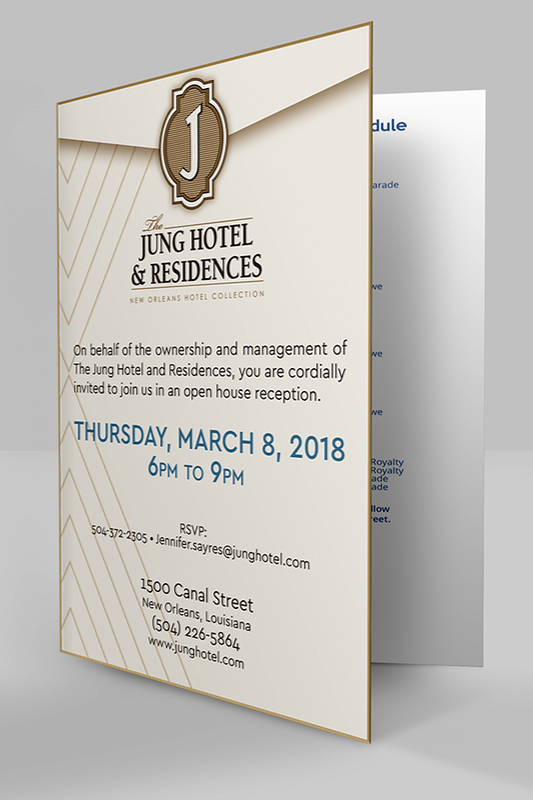 Midnight Boheme created several horizontal and vertical retractable banners to advertise the hotel before the opening as a sneak peek to the eagerly awaiting public. In the lobby level of the hotel, The Daily Grind coffee shop opened several months ago. To promote it, Midnight Boheme designed tent cards for inside the guestrooms. Once open, the coffee shop's broad streetside windows were in need of decor, so Midnight Boheme handcrafted a collection of original coffee and pastry-related designs that were printed as giant window clings and pasted onto the exterior glass along Canal Street. 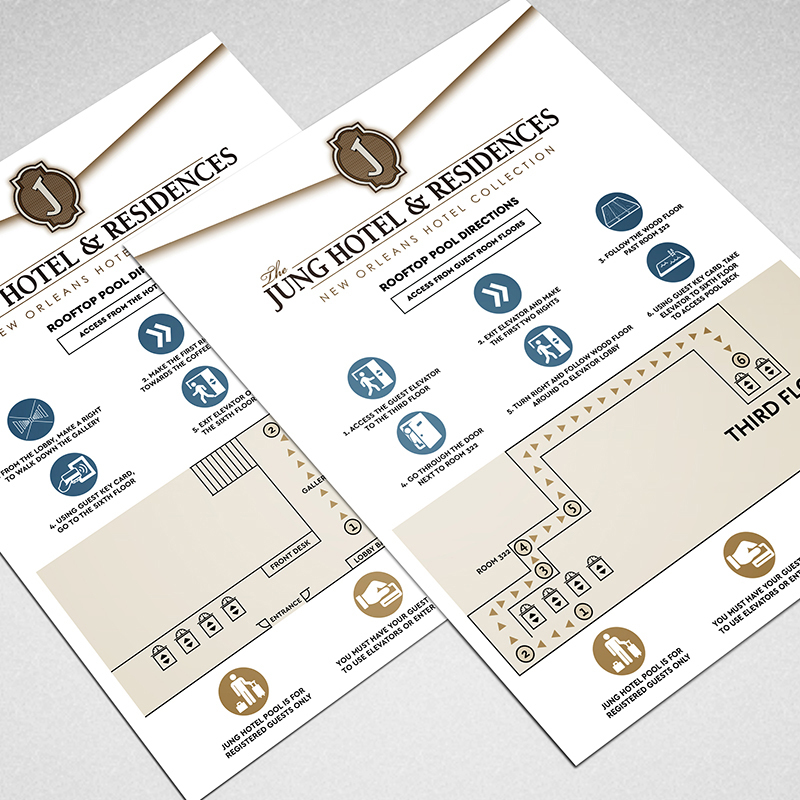 For a hotel the size of The Jung, guests and residences may need a little assistance understanding the layout, hours of operation, and amenities of the property. 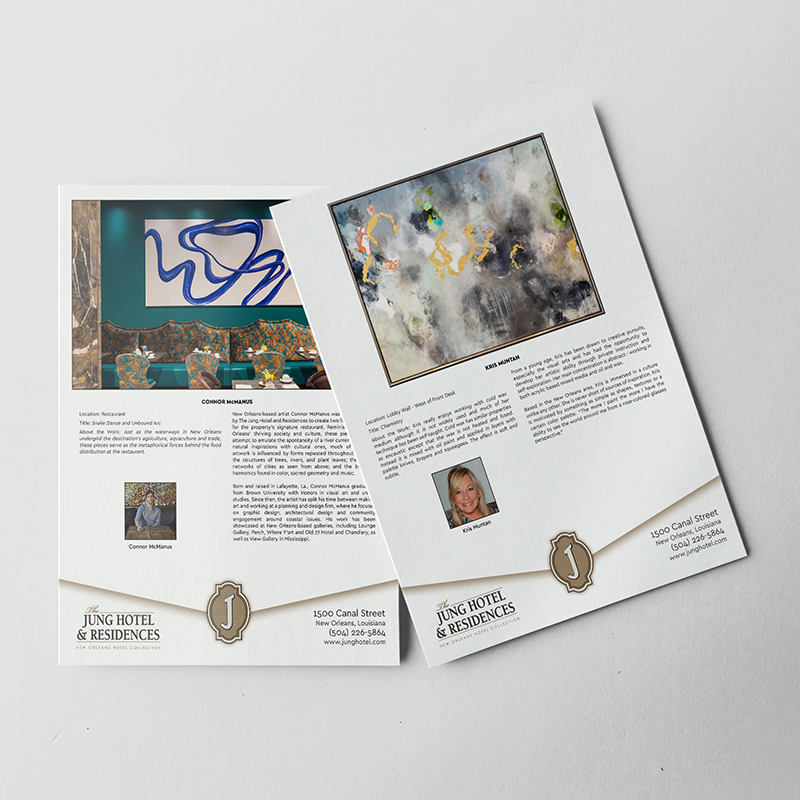 Midnight Boheme worked with the Director of Front Office and the General Manager to develop a guest information booklet for the guestrooms and suites, along with several maps of the structure to help associates and patrons to find their way.